In March, President Obama nominated Judge Merrick Garland to serve on the U.S. Supreme Court to fulfill a vacancy after the death of Antonin Scalia. The U.S. Senate is has stated they do not intend to meet and vote on this nomination. If an appointment is not made soon, the U.S. Supreme Court will have to delay several important cases. 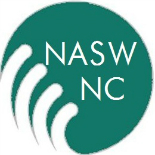 Read NASW’s statement on the matter here. Here’s your chance to make a difference on the Supreme Court nomination: On April 4-6, Americans across the country will join the Call for Nine campaign to tell the Republican Senate to #DoYourJob and provide a fair hearing and a vote to Chief Judge Merrick Garland. These Senators need to hear from you! Learn more about other organizations calling upon the U.S. Senate to consider Garland’s nomination. WeNeedNine is a project of the Constitutional Responsibility Project. The Constitutional Responsibility Project was founded to coordinate the hundreds of allies and empower the millions of Americans in states across the country who believe Senate Republicans should do their jobs and fulfill their constitutional duty by giving Chief Judge Garland a fair hearing and up or down vote. Judging the Environment page on the vacancy/Garland. A list of news & editorial resources updated daily, along with statements (including by members of Congress), letters, etc. News clips & editorials searchable by state and publication. Common Cause site lets users enter their state to see if their senators are doing their jobs, directly email their senators to either thank them or scold them, and features the “Garland-Kennedy Countdown Clock” which shows the time until we exceed the 84 days it took to confirm Anthony Kennedy in an election year. The Leadership Conference on Civil Rights page on Garland: biography, coalition statements of support, more to come as we build it out. The Religious Action Center’s website on the SCOTUS nomination to engage the Reform Jewish community around Garland’s nomination through compiling a list of questions for a future hearing, and through an action alert focused on Senators fulfilling their constitutional responsibilities. ACS has a webpage dedicated to the SCOTUS vacancy. It includes a collection of educational resources about the Supreme Court nomination and confirmation processes as well as statements from experts from within the ACS network about the current nomination of Merrick B. Garland and links to ACS events and initiatives. Center for American Progress has created a page on Medium to highlight past GOP support for Garland and GOP senators willing to meet with him. The White House site on Garland. This entry was posted on April 1, 2016 by naswnc in Advocacy, Blog Posts by Topic and tagged Antonin Scalia, Call for Nine, Merrick Garland, NASW, NCSocialWorkAdvocacy, SCOTUS.